Premier Craig Cannonier has rejected allegations of corruption in his dealings with an American businessman who was looking to develop a casino on the island. Politica, a new media outlet launched by local journalist Ayo Johnson, is reporting the premier has allegedly misrepresented his dealings with Nathan Landow, a wealthy real estate mogul and Democratic party fundraiser from Maryland. The report revisits the so-called ‘JetGate’ scandal — where the premier’s business partner Steven DeCosta accompanied Government officials on a trip to meet Mr Landow — in detail. 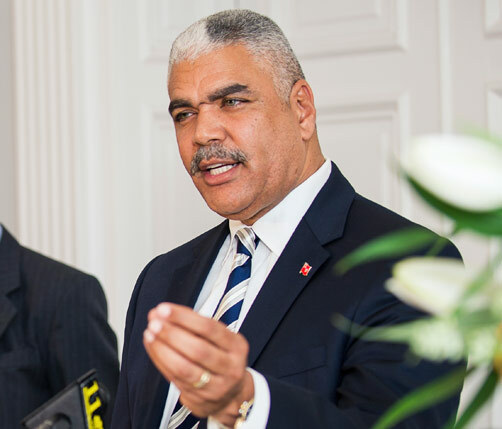 The most controversial part of Mr Johnson’s lengthy reportage alleges Mr Cannonier met with Mr Landow in March 2013 at the Landow-owned Dulles Jet Center and asked the businessman to give him $2 million as “facilitation money” to market the casino issue back here in Bermuda. Yesterday, the Premier rejected the notion there was any quid pro quo offer. “I flatly refute the allegation that I requested any monies from US developer Mr Nathan Landow,” said the premier through a statement. Politica also reported Mr Cannonier allegedly solicited a $300,000 campaign donation from Mr Landow and his supporters in the run-up to the 2012 election by stressing the fact that the OBA was in favour of gaming. Mr. Cannonier dismissed the report as a distraction. He also notes that “nothing has been sold”. “Although US developer Mr Nathan Landow did express an interest in developing the St. George’s hotel property, his company did not submit a proposal in time,” he said. While the premier may have shrugged off the contents of the report as a “side show”, other politicians say the report raises significant questions. The assertions made in the report, said Lister, require an explanation and a response from government. The Premier’s statement, though, said in order to stimulate investment in the island, he meets with people “both at home and overseas, to make this happen”. Tourism Minister Shawn Crockwell, who is quoted in the Politica report, declined to comment for this story. Attorney General Mark Pettingill, who is mentioned throughout the report, also declined to comment.